2019 scholarship applications are now closed. We are currently reviewing this year’s applications and will award a winner on May 1st. Female students currently enrolled as full-time undergraduate students at an accredited college or university in the U.S. or Canada. To apply, please submit responses to the questions below along with your transcripts through our online application form. Submit essays answering the following three questions outlined below. One essay per question—max 500 words per essay. 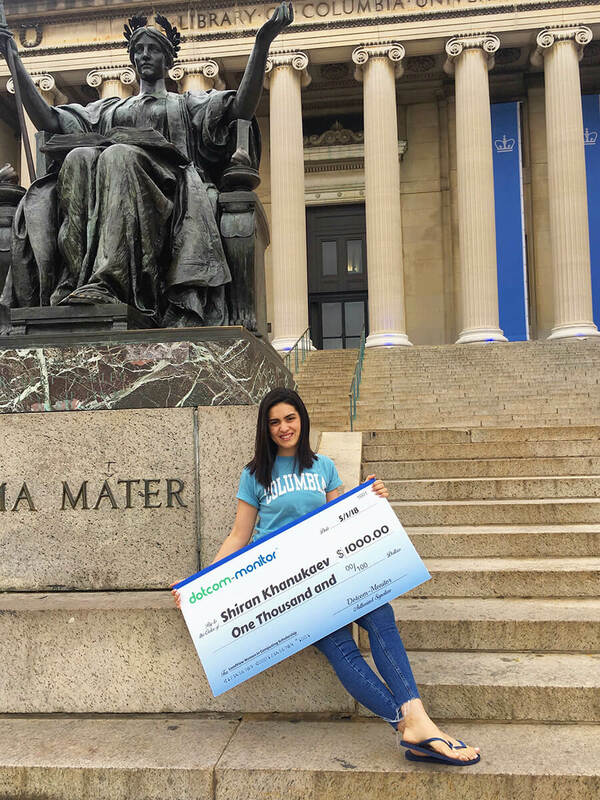 This scholarship was initially launched in 2016 by Julia Garbuz, a sophomore at the University of Minnesota studying Computer Science while participating in a summer internship at Dotcom-Monitor working on the LoadView product. 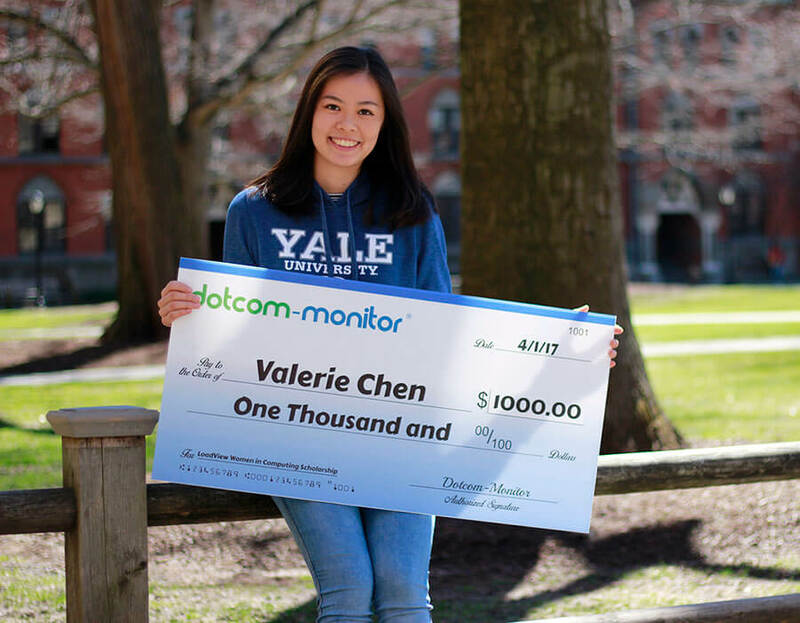 The Dotcom-Monitor Women in Computing Scholarship is open to female students currently enrolled as full-time undergraduate students at an accredited college or university in the U.S. or Canada for the 2018-2019 academic year. Applicants should have either already declared their major or have completed at least one academic year in computer science, computer engineering, or closely related technical field. We will begin accepting applications on October 15, 2018. To apply, please submit responses to the questions below along with your college/university transcripts (or other verification of enrollment/major declaration) and general information through our online application (all documents should be in PDF format). The deadline to apply is April 1, 2019, at 11:59 PM CST. Contact us with any questions. The LoadView Load Testing Scholarship award must be spent on tuition, fees, books, academic supplies, and other equipment related to or required for the student’s classes at their enrolled university. Scholarship funds may not be used for any other non-academic purpose. Recipients of the award must be enrolled full-time at an accredited institution and their enrollment status may be subject to verification via the National Student Clearinghouse or other methods prior to the scholarship award. Enrollment status will be verified prior to the award after a recipient is selected. Payment of the scholarship award will be disbursed directly to the student. If the student does not meet the enrollment or eligibility requirements at any time prior to the scholarship award, the award status may be revoked at the discretion of Dotcom-Monitor. Applicants must reside in and be enrolled in a school located within the United States or Canada. Essays will be reviewed in order to select a recipient. The selection will be based on the responses to the essays. The applicant who best answers the questions will be selected to receive the award (“best” is subject to the discretion of Dotcom-Monitor employees reviewing the submitted essays). Late submissions will not be accepted for any reason. When an applicant is chosen to receive the award, they will be notified via email and telephone. The recipient will be listed on the Dotcom-Monitor website and their name may be permanently publicized across other Dotcom-Monitor properties (including but not limited to: social media, blogs, and other media outlets). Previous recipients may also be permanently listed on various Dotcom-Monitor properties. Applicants may withdraw their application if they choose by notifying Dotcom-Monitor in writing via email prior to April 24, 2019 (7 days prior to the submission deadline). If an applicant chooses to withdraw their application, the email address requesting the withdrawal must match the email address on their original application. If for any reason an applicant chooses to decline the award or is not eligible at the time of selection, another applicant will be selected from the available pool of applicants based on the initial selection and eligibility criteria. Dotcom-Monitor employees and their immediate family members are prohibited from receiving the award.